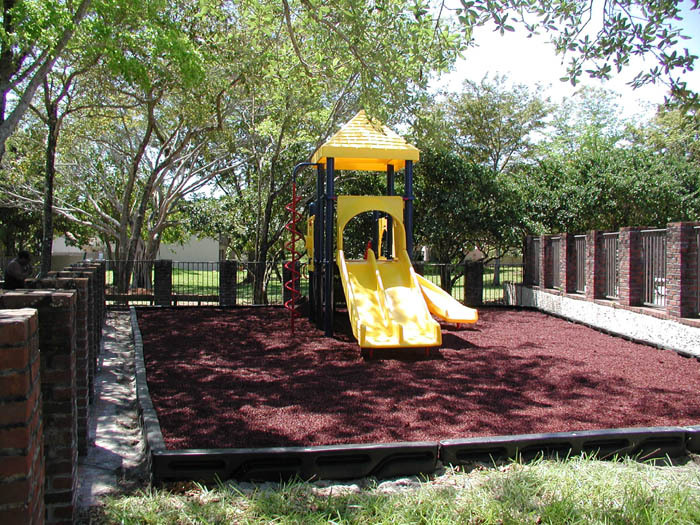 Non Toxic, Non Staining, ASTM Certified, 99.99% Steel Free, ADA Playground Rubber Mulch. Each Bag of 30lbs covers 4.5 square feet @ 3" thick, 3.3 square feet @ 4" thick or 2.25 square feet @ 6" thick. Each pallet contains 65 bags total weight of 1950lbs of rubber. Provides superior safety over other loose fill materials. Available in Natural Black, Onyx Black, Ocean Blue, Cedar Red, Mocha Brown and Turf Green. This is the BEST size of playground rubber mulch available.